Hey lover readers. 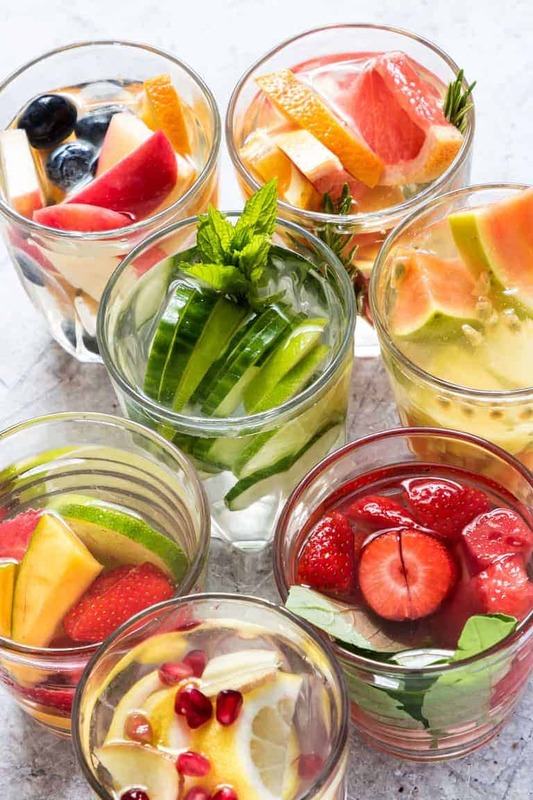 Quench your thirst with these 7 Infused Water recipes. 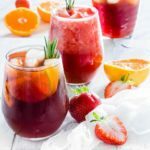 Full of fresh fruit and herbs, I show you how to easily make healthy & refreshing Fruit-Infused Waters with step-by-step images. 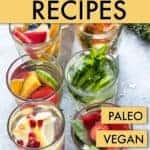 Suitable for Gluten-Free, Keto, Paleo and Vegan diets. Recipe also includes Weight Watchers points. I love drinking water (and I am sure you do too). But every now and then we can make water even MORE fun by adding a little colourful and fruity treat. Drinking those recommended 8 glasses a day suddenly become much, much easier. 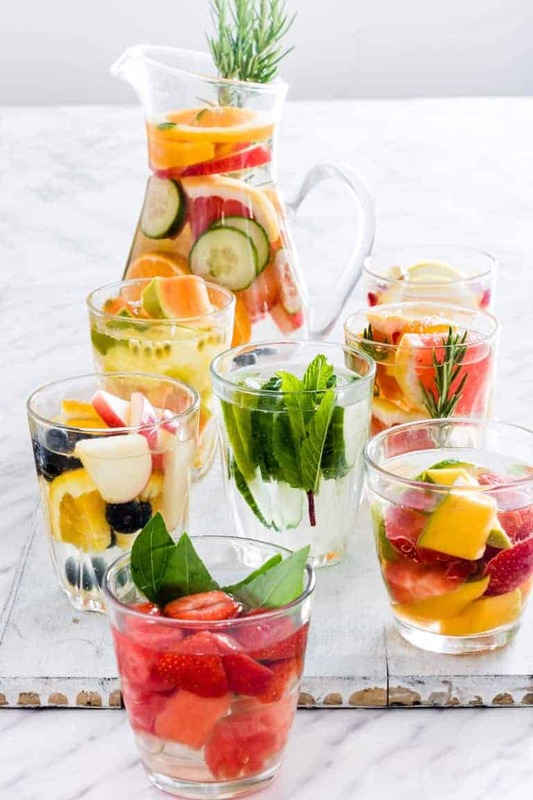 This is why I am super excited to show you 7 Infused Water Recipes. One for every day of the week, guys. But please feel free to mix and match the ingredients according to what is in your fridge or pantry or to your taste. You can make an endless combination of fruit- flavored water. 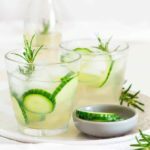 What is great about these Infused Water recipes is that they are naturally sweetened, healthy, taste amazing, are very affordable and reduce waste by helping you use up fruit and vegetables that are about to pass their prime. These are great for quenching the thirst of a crowd. Simply make your Infused Water ahead of time, chill in a big drum or in a drinks dispenser and let guest help themselves as they arrive. The colourful fruit looks good and make a great centrepiece for play dates, BBQ’s and picnics, drinks parties, brunches and more. A quick list of items you will need to make this Infused Water. Mason Jars or these more colourful ones for serving. Making Infused Water is super easy. 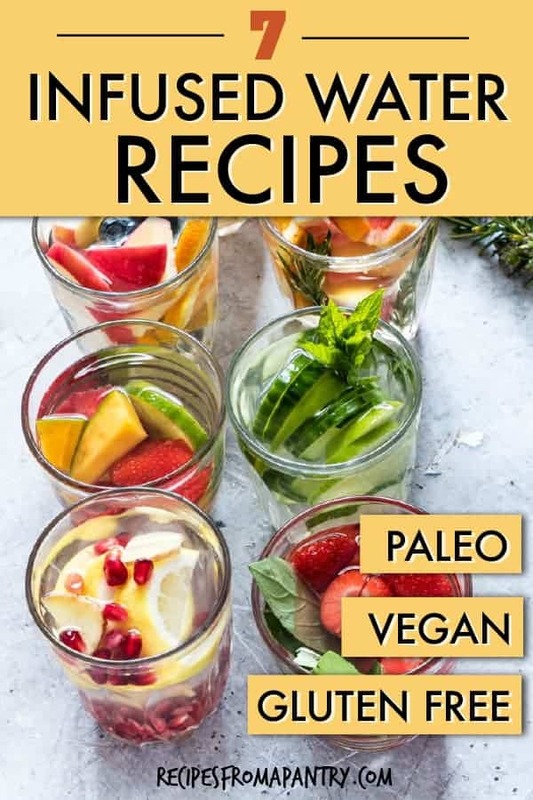 Each of the recipes below makes 1.25l (5 cups) of infused water. Do feel free to double or triple the recipes and add ice and extra garnishes as you like. Add the ingredients to the pitcher or container and let infuse for a minimum of 6 hours. But for little stronger flavour, which I prefer, infuse the water overnight in the refrigerator. Chef’s tip – slice and dice your fruits with a sharp knife at the last minute so that they are as fresh as possible. The longer you leave in the fruit the stronger the flavour gets. Alternatively, you can double the fruit for more flavour. For a stronger flavour muddle or bruise the fruits in the jug/pitcher at the start of infusing. 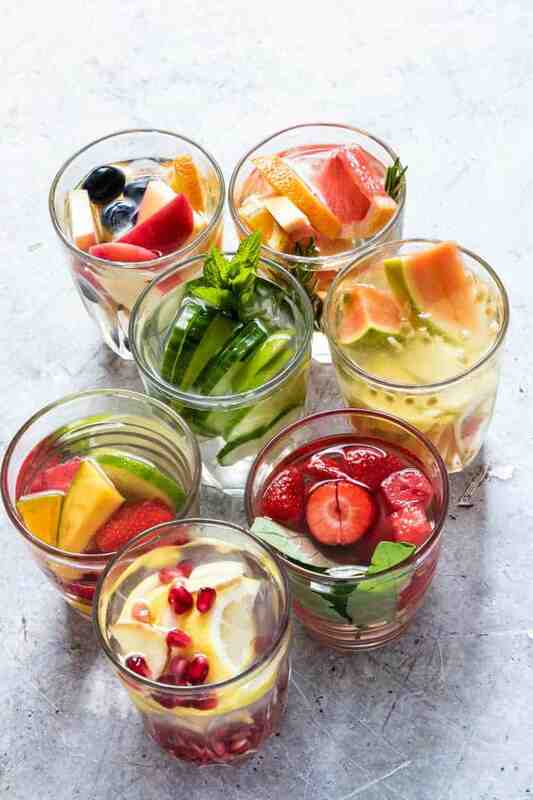 Whilst these infused water recipes use fresh fruit you can mix in some frozen fruit too. After you have drunk about half your infused water, simply top it up again with more water. You get a milder but still fruity flavour. For the best taste drink your Infused water in the first day or two. Whilst these recipes use tap water you can also make them with still or sparkling water according to your taste. Citrus fruits can make your infused water bitter if left in too long. So remove them after a couple of hours. 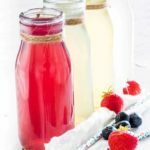 Instant Pot Infused Water is really simple to make. The benefit of making it in the Instant Pot is that is much, much quicker to make. 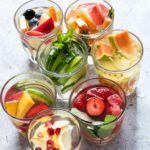 Pop over and get the Instant Pot Infused Water Recipes. You can find more fruit infused water combinations below. Add in what you like, sky (and your taste buds) is the limit. If you refrigerate your infused water then it should last for 3-4 days. Discard the fruit and herbs after a day. Remember to remove the citrus fruit much earlier so your water does not become bitter. Can You Freeze Infused Water? Great question and the answer is yes. 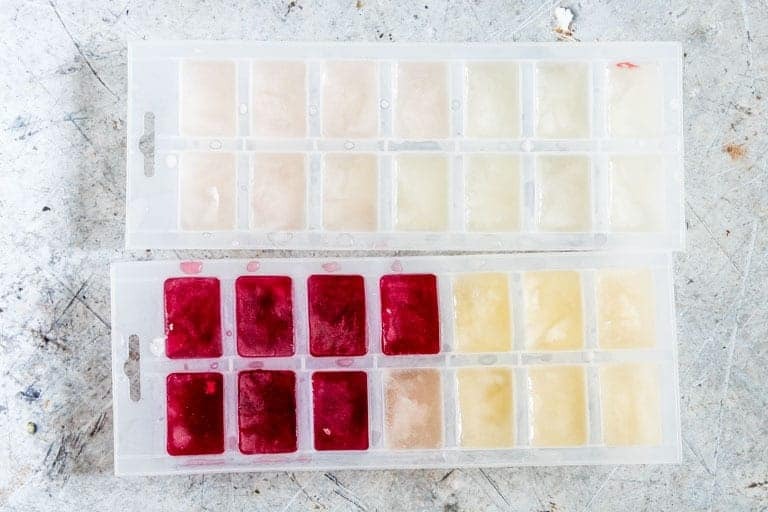 You can make fruit-infused water ice cubes. Remove the fruit and then freeze the water in an ice cube tray. You can then simply add the ice cubes into some water, iced tea, mocktails, cocktails, smoothies and much, much more. You may wonder what are the benefits of drinking fruit-infused water is? Well, there are plenty but it is important to note that most of the benefits are to do with the water itself rather than the added flavour. They taste great and encourage you to drink more water. Win-win right? They are tempting enough so you don’t miss soda and other fizzy drinks. Drinking water may help you feel fuller and so reduce your hunger. Drinking detox water may help with weight loss (again this is down to the water rather than the fruit and flavours). They taste great with zero calories or sugar. Drinking water has been shown to increase your metabolic rate. Keeping properly hydrated helps improve your digestive health. Drinking water may help reduce your hunger as you feel fuller. 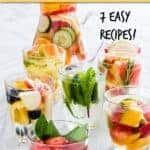 There are ZERO Freestyle and PointsPlus points in these infused water recipes!! If you are looking for a points-free way to encourage you to drink more water, this is it. Puff Puff (sweet dough balls). Thank you for reading my 7 Infused Water recipes post. And please come visit again as I continue dreaming up recipes, traditional African recipes, African fusion recipes, Sierra Leone recipes, travel plans and much more for you. Thanks for supporting Recipes from a Pantry, UK food blog. Don't forget to tag #recipesfromapantry on Instagram or Twitter if you try 7 Infused Water Recipes! It is really, really awesome for me when you make one of my recipes and I'd love to see it. You can also share it on my Facebook page. Please pin this recipe to Pinterest too! Thank you for reading Recipes from a Pantry. 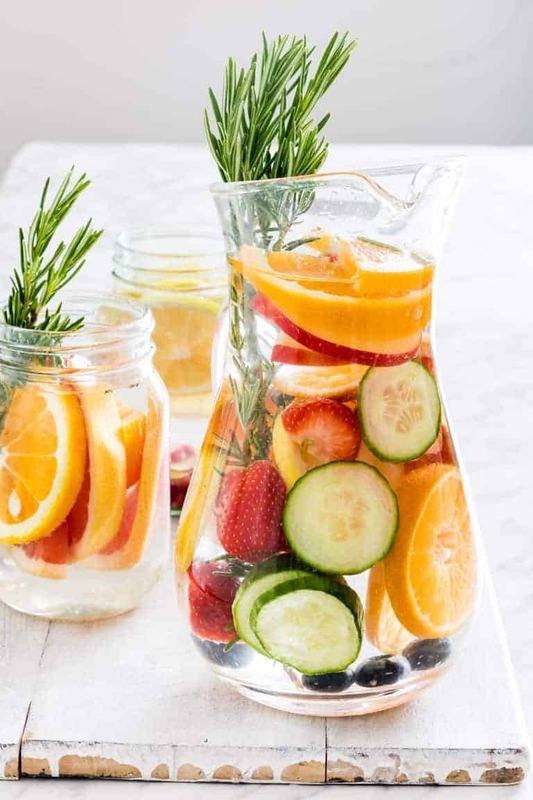 Quench your thirst with these 7 Infused Water recipes. 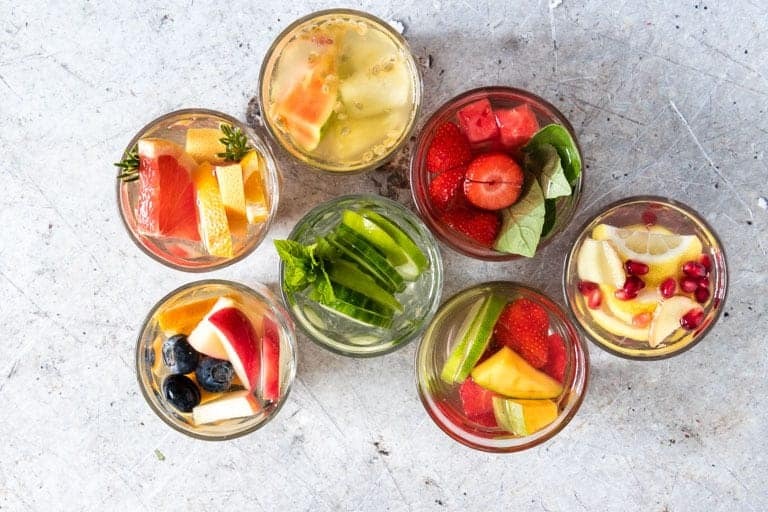 For each infused water recipe, add the fruit and herbs into a jar and top with water. For a stronger flavour muddle or bruise the fruit /herbs first before adding in the water. Let infuse for at least 6 hours but up to 12 hrs in the fridge. I love these ideas. I’m not a big fan of water as I’m always looking for was to make it more enjoyable. I will be trying the Mint, Lime and Cucumber Infused Water today. I love all of the different options you’ve created! Infused water makes drinking water that much better, especially when you’re trying to avoid sugary drinks! There are some great ideas here. They would be great for serving up at a summer party. Any excuse for me to make a summer party. I love infused water! Especially in summer! I would go for the cucumber, mint and lime one! Delish! Looks like the perfect summer treat! Shame it’s winter here in Melbourne! With the temperature going up lately these look as a perfect healthy summer treat! These are not only gorgeous but such a great motivator to get your daily intake of water. Love the ice cube idea! 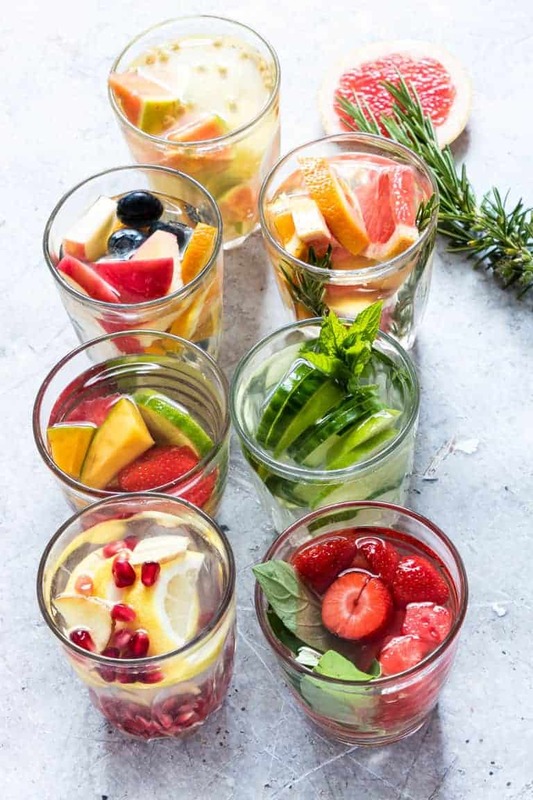 It’s really hard for me to drink just plain water (I usually add lemon or lime juice,) so I can’t wait to try these infused waters! This looks absolutely so inspiring to make. 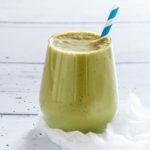 I love easy recipes like these one and would be trying this soon! 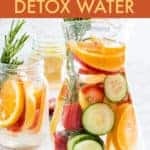 I love infused water and will definitely be trying all of these ideas! Such a great way to make sure we’re drinking enough!